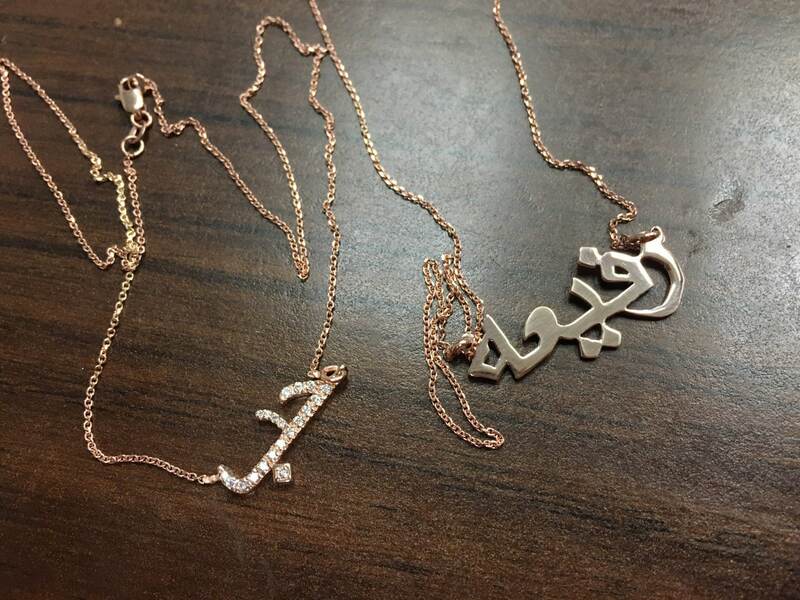 Hand cut Arabic name necklaces in 14k gold. 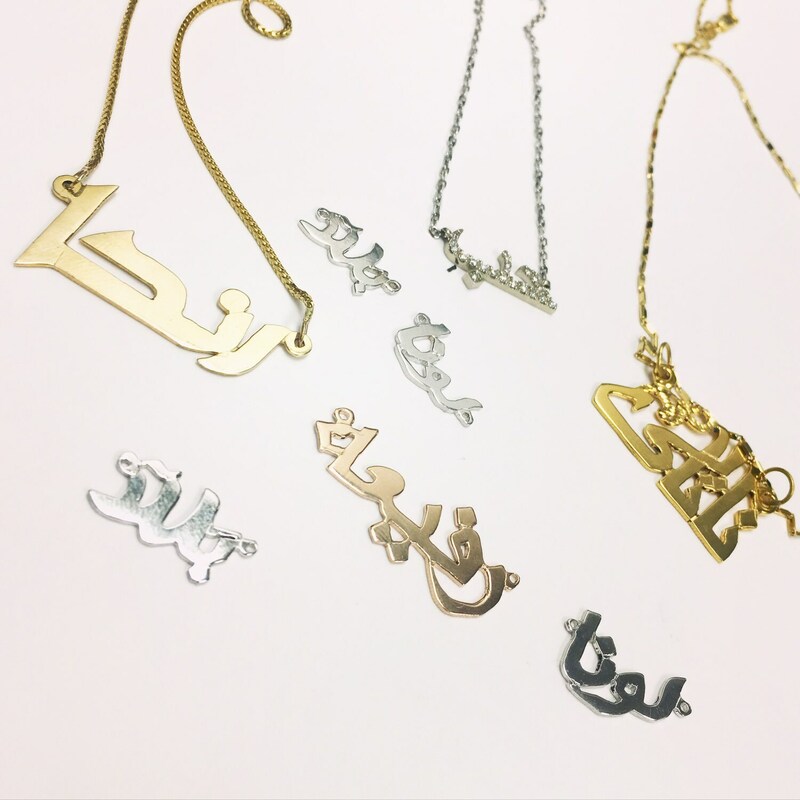 Come in yellow rose and white gold. 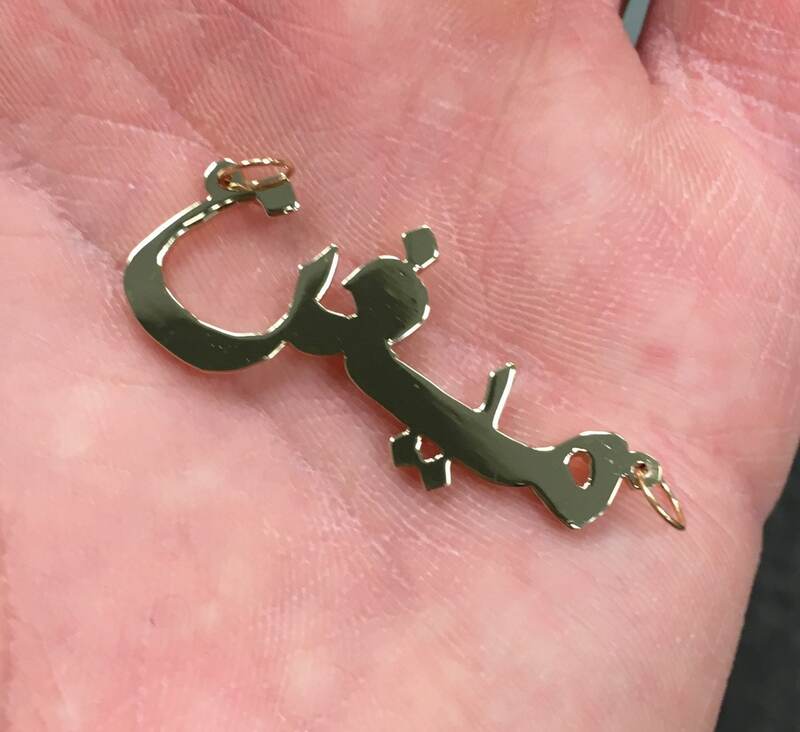 Comes with an 18" 14k gold chain other lengths available upon request. 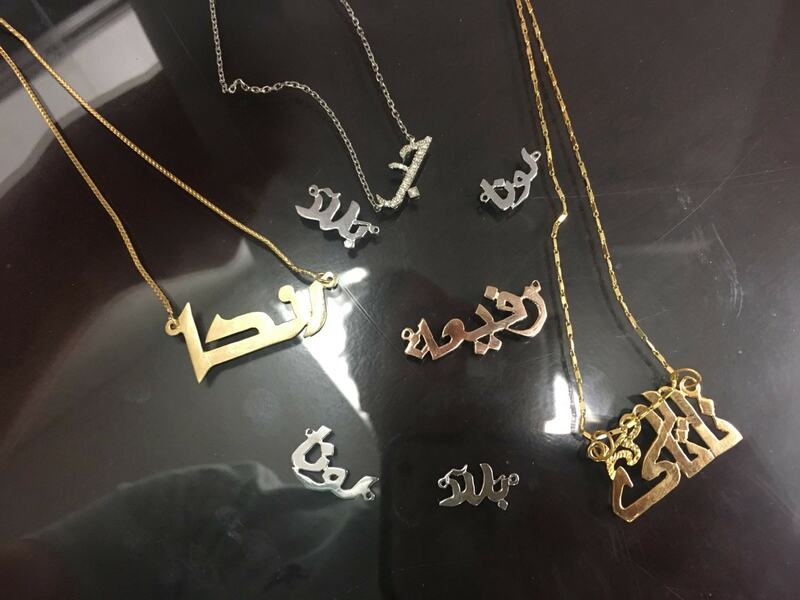 Some names are more difficult to write in Arabic than others please send a message with the name before making the purchase for to ensure a wonderful looking necklace!